Hungarian, c. 1950. 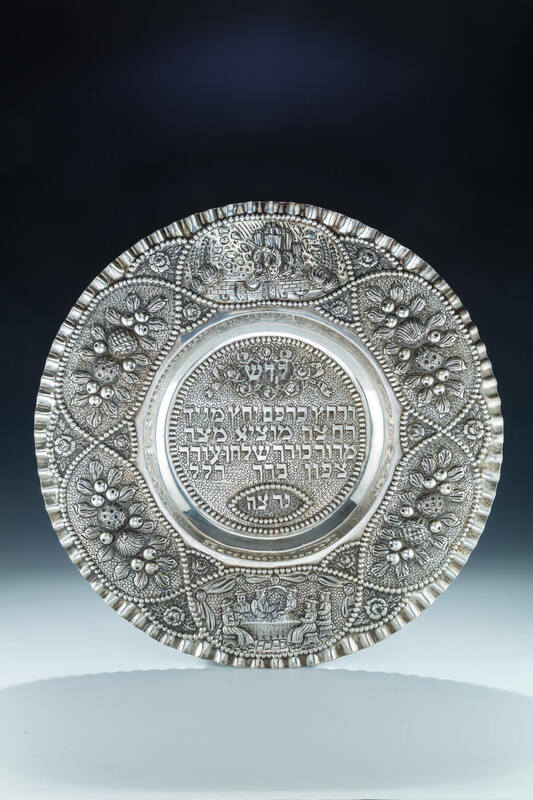 Chased with floral designs and order of the seder. 18.8” wide.